We’d love your help. 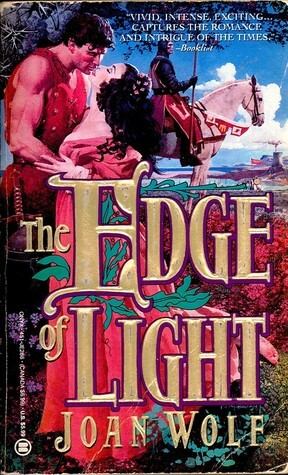 Let us know what’s wrong with this preview of The Edge of Light by Joan Wolf. To ask other readers questions about The Edge of Light, please sign up. Is there a good historical novel hiding behind that cheesy cover? Excellent finish to a wonderful Trilogy. A wonderful read, fascinating history. I knew little about Alfred the Great -- the only British monarch ever to carry that title. Incredible finish when it looked like all hope was lost and Alfred managed to carry the day and win the battle for Britain. It's amazing what he accomplished in ways to encourage education as well as on the battlefield. This book is the third in a trilogy by this author. The first being The Road to Avalonabout King Arthur fight Excellent finish to a wonderful Trilogy. A wonderful read, fascinating history. I knew little about Alfred the Great -- the only British monarch ever to carry that title. Incredible finish when it looked like all hope was lost and Alfred managed to carry the day and win the battle for Britain. It's amazing what he accomplished in ways to encourage education as well as on the battlefield. Okay, it would have been easier on the eyes if I had found out earlier that Belgrave House had released the ebook edition of this in February, but I was nevertheless very happy to get the hardcover copy (a former library book) and find out whether I remembered this as being better than it is. No, it's just as good as I thought ^^. Joan Wolf doesn't do totally accurate historical novels (considering this trilogy goes from 6th to 9th century Britain that is not surprising), but she really did her r Okay, it would have been easier on the eyes if I had found out earlier that Belgrave House had released the ebook edition of this in February, but I was nevertheless very happy to get the hardcover copy (a former library book) and find out whether I remembered this as being better than it is. No, it's just as good as I thought ^^. Joan Wolf doesn't do totally accurate historical novels (considering this trilogy goes from 6th to 9th century Britain that is not surprising), but she really did her research and tried to balance the love stories with what is known of the lifestyle and the wars of the people. Occasionally there's a little slip-up like Alfred unbuttoning Elswyth's dress (no buttons during that era). So this works for me as historical fantasy without magic, really ^^. 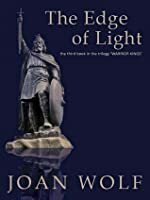 I like the interaction of Alfred with Elswyth, I particularly enjoyed the characters of Erlend, Brand, Flavia and to some extent Guthrum - and I thought that the author captured the Christian belief in the early Middle Ages quite well - especially with regard to how it can influence even the highest in the land. This is interesting.I have read Bernard Cornwells version of this period in The Last kingdom.There is a difference of approach in the two books. This is a more romantic view of Elswyth and Alfred's story and although I enjoyed it a lot,it did not eradicate BC's version of Elswyth the whiney shrew and Alfred the ailing evangelist with irritable bowel syndrome,and Uhtred smashing his way through viking shield walls. A good read. True, I didn't like the heroine, found her too out of step with her era as well as far too abrasive. We know a good deal more about Alfred than Arthur [another leg of this trilogy] who is more fairy tale than fact. No doubt there is difficulty writing about larger than life heroes but Alfred comes off OK - he's got the megrims and, it seems, his best ideas came courtesy of his wife Ethel-something. No, I didn't believe it either. The Dark Ages of Britain series by Joan Wolf has won my heart over. What a wonderful trilogy - I think I enjoyed each book a little more than the one before! Nov. 20, 2016 I read this over a year ago and can't believe I gave it five stars and did not review it. The reason I am so surprised is that I recently read two books, one from the Saxon standpoint and one from more of the Dane standpoint. King Alfred the Great is in both books as they are from the 9th century also. I remembered Alfred so vividly from this book that I found myself a bit defensive of him when reading those, both of which picture him differently. I realize these authors are all w Nov. 20, 2016 I read this over a year ago and can't believe I gave it five stars and did not review it. The reason I am so surprised is that I recently read two books, one from the Saxon standpoint and one from more of the Dane standpoint. King Alfred the Great is in both books as they are from the 9th century also. I remembered Alfred so vividly from this book that I found myself a bit defensive of him when reading those, both of which picture him differently. I realize these authors are all writing historical fiction from many centuries ago, so personalities have long been lost. This is my favorite about Alfred and I will read it again. It was a great read and when I re-read it I will review it in more detail. Review after re-reading this book. Now I remember why I loved this book. I am even more familiar with this period of British history now so enjoyed it even more. There three books in this, what the author refers to as a trilogy, but they take place centuries apart. I tagged it as a stand alone because the only tie with the other two books is that they take place in the same historical places. The first is about King Arthur, the second takes place 80 years after his death and in the dark ages which is a time that history is lost, and this one from the 9th century during Alfred the Great's reign. All three are romances and the author writes in one or two of them at the back of the book that during these times the women are often not even mentioned by name even if married to great men. There is no history of their personalities or their relationships, so the author has to use the period of history, what is written about the main players of the time, and create personalities - and if they choose, romances because whether or not the people loved each other is lost forever. This book is a bit like Bernard Cromwell's The Last Kingdom in that there is a secondary character in this book who is many ways parallels Cromwell's main character. Both are playing on both sides, the Danes and the Saxons, both have lost their inheritance to an uncle, and both become a part of the Alfred story. They are very different as one was born a Saxon and the other born a Dane, but it was interesting and added to the story - both stories. It is amazing to see how people lived in these times and really impossible in this day and age to imagine enduring the things they went through every day. This author made me care very much for the characters as she did in the other two books of this trilogy, and I like a really good love story. A book that is about real history is going to follow that history, so the author is held to what really happened. But the motivations of the people and their interactions are either brought to life or not - I was right there with them throughout this story. So I really enjoyed this trilogy. I love the first and third book, but am pretty meh about the middle book. Before I start though, there is this somewhat creepy association of the female characters as young and looking child-like and innocent. It's disturbing. Feels somewhat like a sexualisation/fetishisation of the young. The heroines are constantly described as looking slender/young/innocent/pure/child-like. They are outright said to look way younger than their years, looking child-like, being So I really enjoyed this trilogy. I love the first and third book, but am pretty meh about the middle book. Before I start though, there is this somewhat creepy association of the female characters as young and looking child-like and innocent. It's disturbing. Feels somewhat like a sexualisation/fetishisation of the young. The heroines are constantly described as looking slender/young/innocent/pure/child-like. They are outright said to look way younger than their years, looking child-like, being mistaken for young teens. Okay anyway, one thing I loved about this series was the solid historical details. Admittedly, I have no idea if it's accurate but the atmosphere and mood evoked are so vivid. I felt transported to another time period. Recommends it for: those interested in The Dark Ages in England. I read this when it first came out and several times since. I really enjoyed this one. I thought the political intrigue was well done. Again it made me want to read the real history, which I always enjoy. I liked this book a lot. Joan brings fascinating life to history. So I feel like I got a history lesson through a great romantic story. Best "history" book ever. My 2nd favorite in the trilogy. The Road to Avalon is my favorite! Wonderful characters, lots of good intrigue and action. I recommend! Alfred the Great is the main character in this fine bit of historical fiction. King Alfred the Great had migraines and married a strong-minded woman! Joan was born in 1951 and she grew up in the Bronx, New York. A former English teacher Joan Wolf is a USA TODAY bestselling American writer, whose acclaimed Regency romances have earned her national recognition as a master of the genre. Her many historical and contemporary romances, some of which have been chosen as Literary Guild selections, have been highly praised by reviewers and authors alike.